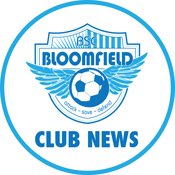 Bloomfield Soccer Club is proud to launch our new website today! Thw website runs on an all-new platform developed by our partners at Demosphere which is much more user-friendly. What this means to you is a website that will be updated on a more frequent basis, and a player registration portal that is easier to utilize. Thank you for your patience as we worked hard to launch the new website. Here's to a great 2018 playing season!